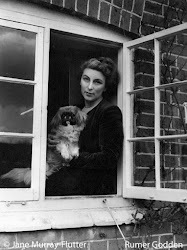 I'm completely absorbed in Lyndall Gordon's Lives Like Loaded Guns - Emily Dickinson and Her Family's Feuds. It's an extraordinary biography which reads like a novel. Emily Dickinson's early reading and influences included the Bronte sisters, Elizabeth Barrett Browning and George Eliot, particularly Maggie Tulliver from The Mill on the Floss. I love the thought of Dickinson and her sister-in-law Sue avidly reading all the new publications from England. This seems like an excellent biography. I'm not all that partial to them but Gordon seems like a great biographer and writes with integrity. Dickinson is one of those mysterious figures and her poetry is so sad. Just wanted to say, I've recently found your blog and I absolutely love it! I've just been placing holds at the library on many of the books you've written about! I love biographies and have had my eye on this for a while.... Just to let you know that I have just linked to you in my review of Monica Dickens' Mariana. I suspect she lived in Australia in the summer where you just can't get away from the blighters!!! I'm so glad I stopped by here today...this book is just what I'm looking for...I've seen a lot of Emily being quoted on blogs lately, and I don't know much about her. I'm going to look for this at the library. Thank you! Interesting! Recently had occasion to re-read a lot of Dickinson poetry and was surprised at the depth of her poetry contained in those simple forms. I will have to check this out. Mae, I'm new to Lyndall Gordon but I'm so impressed with this book. It's inspired me to return to the poems and study them. Carolyn, hi, how kind! I love to read book blogs and along with the favourites along my sidebar there are at least a dozen others I haven't added yet! Let me know which books you enjoy reading. Hannah, thanks for the link. I think you'd like this Dickinson biog - well worth reading. Liz, Heh! Dickinson's death poems can be daunting but her writing is so beautiful and concise - not sure what my favourite poem is. Sara, I was fortunate to come across Dickinson and study her poems on an American Lit module I took a few years ago. I would recommend reading her poems before the biog. Frances, now that I've almost finished reading the biography I'm going back to her poems to re-read again. I would highly recommend this book. I'd love to read this. Sounds intriguing! i'm unfamiliar with this bio but I will have to look for it. Your recommendations are always worth following. Dickinson's poems are brief, but they contain a whole world in the way that a haiku does.